Falling prices and an industry focus on specialisation and increasing value added have all helped Vietnam increase its share of US imports over the last year. Official figures for apparel imports into the US in 2016 show Vietnam has increased its share of the market in volume terms. Data from the Department of Commerce's Office of Textiles and Apparel (OTEXA) shows Vietnam's share has risen from 11.52% in 2015 to 12.45% in the 12 months to December 2016. This may have been boosted by a drop in prices from Vietnam last year. The data also shows average costs have fallen by around 4.4% year-on-year to US$3.22 per square metre equivalent (SME). This compares with $3.37 in the same period last year – but remains higher than the average price per SME of $2.91 across all apparel imports into the US in 2016. Vietnam's share of US imports, however, pales in comparison to China, despite it closing the gap slightly. The country's lead accounts for almost three times the volume of imports from Vietnam, proving that no country can match China in terms of the size of its supply base, its range of skills, its quality levels, its product variety and the completeness of its supply chain. As the largest supplier of apparel to the US, the volume of China's shipments amounted to 11.17bn SME in 2016, a slight drop of 1.8% on the prior year. 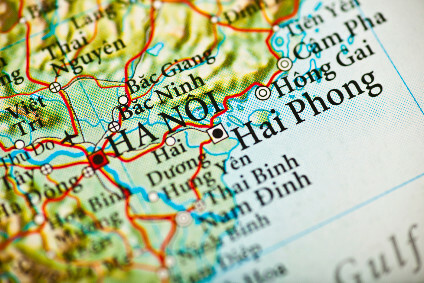 In comparison, Vietnam's shipments reached 3.35bn SME, an increase of nearly 7%. China's share of US apparel import volumes, however, has slowly decreased over the last six years. Its share currently stands at 41.5%, marginally lower than the 41.98% it held in 2010, and a decline on 2015's 41.8%. Of the other top ten apparel suppliers to the US, Bangladesh is the only other country to have increased its share, reaching 6.9% in 2016 from 6.5% six years ago. Cambodia and India have both seen decreases, from 3.8% to 3.3% last year, and 3.92% to 3.88%, respectively. El Salvador, Mexico, Honduras, Pakistan and Indonesia have all seen their market share decline since 2010. Over the last 12 months, only four of the top ten apparel supplier countries booked growth in the volume of imports shipped to the US, with Vietnam seeing the largest increase, while those from third-largest supplier Bangladesh fell by 0.4% to 1.86bn SME last year. India booked the second highest gain, at 2.02% to 1.04bn SME, and Cambodia the largest decline at 14.1% to 903m SME. The volume of total US apparel and textile imports declined 0.9% for the year, to 62.92bn SME. Within this, textiles dropped 0.88% to 35.99bn SME, while apparel shipments slipped 1.06% to 26.93bn SME. In value terms, total US apparel and textile imports in 2016 were down 6.44% to $104.72bn. Within this, apparel imports fell 5.23% to $80.71bn, while textiles dropped 10.29% to $24.10bn.